I lamented long and hard the demise of @dcfireems last week (for to call the current feed alive is an insult to everything it was once), but it seems that even if that feed is down, there’s another doing good work. The new @IAFF36 account, run by Local 36 of the International Association of Fire Fighters based here in DC, is working hard to keep up Pete Piringer’s legacy. 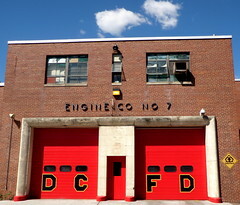 If the brass at DCFD don’t have interest in telling the city what’s going on, it’s clear that the rank and file sure do. Bravo, @IAFF36. Looking forward to seeing more from you! Perhaps you can get Kris Baumann and the FOP to counter the very bland @DCPoliceDept?